Classic Simple Elegance. You are gonna wear these everyday! 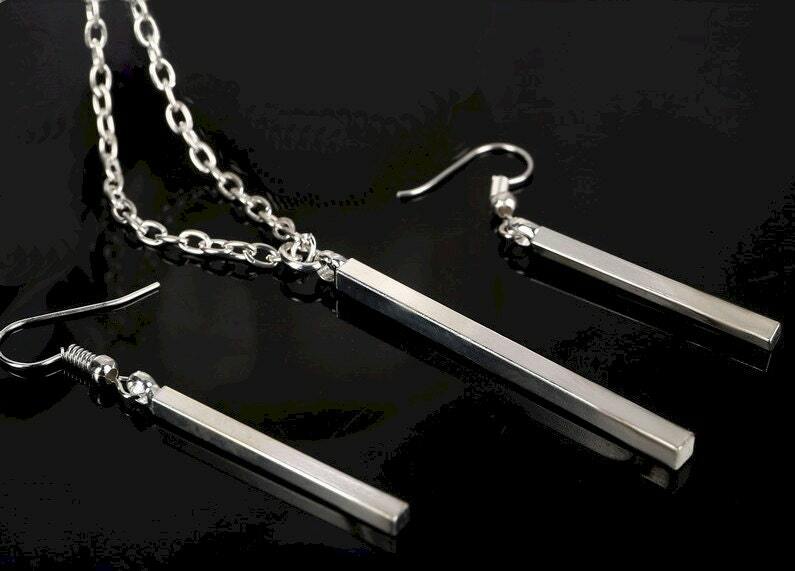 Silver Fashion Square Bar Silver Plated Pendant and Earrings. 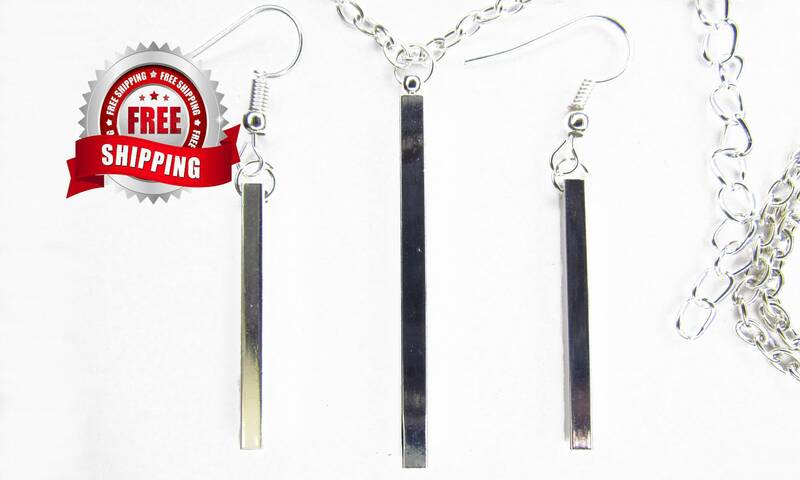 Earring Bars are measures 1 1/4” long. Pendant is 1 1/2" long. The Earrings are about 1/8" wide and the Pendant is just slightly wider. Necklace comes with a Silver Plated 18" link chain that expands to 20" with a positive locking lobster claw clasp. Earrings come with complementary ear wires and backs.